The Aegis Graham Bell awards was established by the Aegis school of Telecom Data and Science as a tribute to the late father of Telephony, Sir Alexander Graham Bell. The award’s mission is to recognize outstanding innovations and entrepreneurship in the fields of Telecom, Social, Mobility, Analytics, Cloud, and Security. This year’s awards ceremony was held on Thursday 9th February 2017 at the NDMC convention centre in New Delhi. 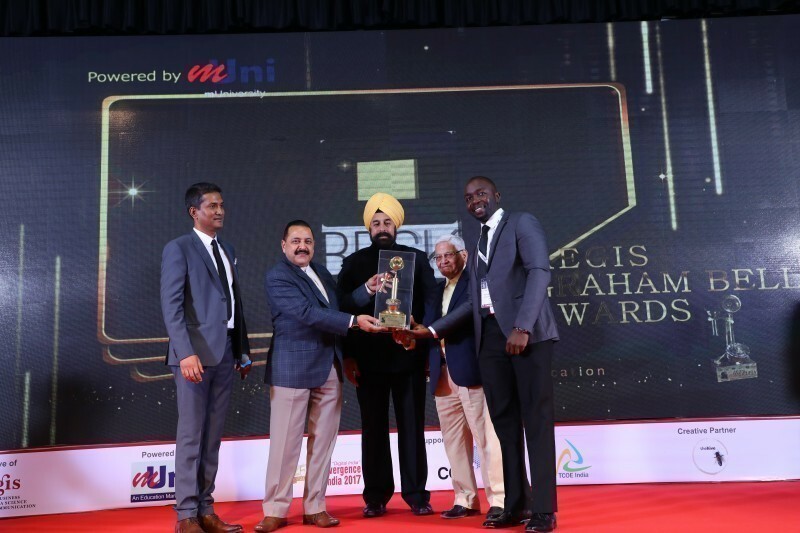 While the rest of the winners were countries with operations in India, BRCK is the only company outside of India that won an award. BRCK’s education solution, the Kio Kit, won the top honours in the mEducation category. BRCK’s game-changing products and solutions continue to receive international acclaim for use of technologies that are literally revitalizing businesses and communities around the world.